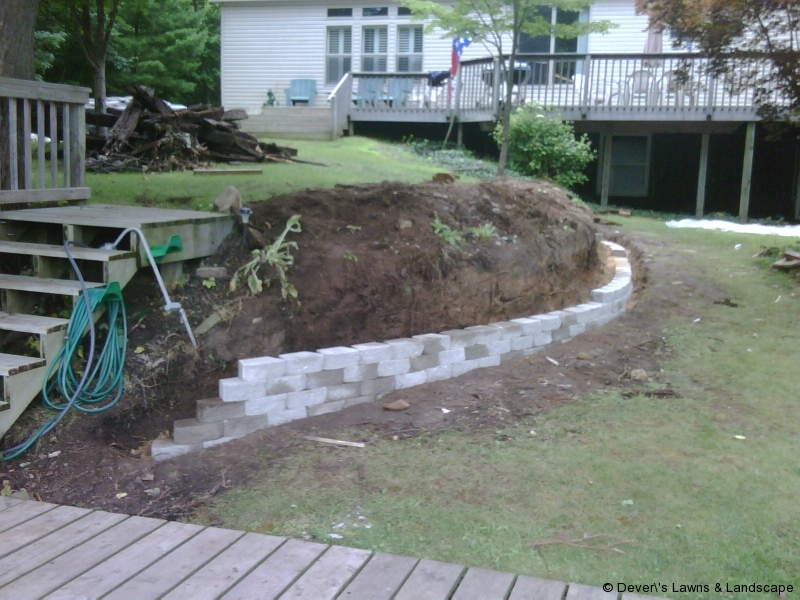 This lakeside home retaining wall project provided a new block retaining wall to replace the old railroad tie retaining wall that had deteriorated. First the old railroad tie wall was removed. There wasn’t room to bring in larger equipment to tear out the old wall; so we used the winch on a quad-runner to assist us. Then the area was excavated and prepped for the base course of blocks. A four inch block was selected for this project based on height and budget constraints. 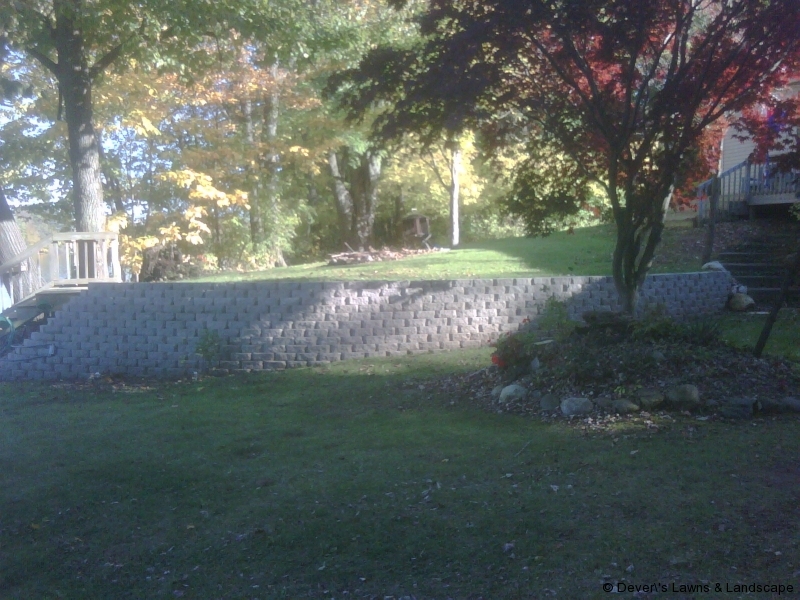 Once the base course was of block was laid we continued to stack block to the desired height and length of the wall continuously back filling with material. 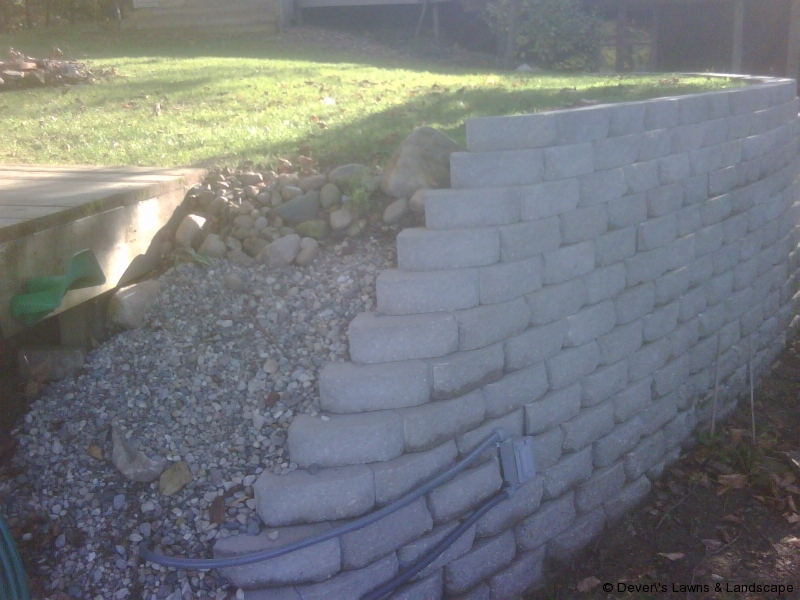 A wash bed of gravel and field stone was added to the end of the wall to help with erosion and for future tie-in of new stairs and wall. Top soil and seed were added to the excavated site after the retaining wall was completed.